Fine capture, don't see that too often ! 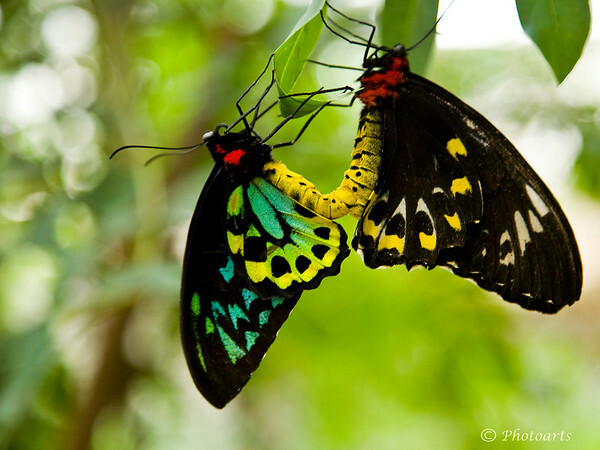 The female, the one on the right is the largest butterfly in Australia, attaining a wingspread of 15 cm ( 6" ). She really is a sight and a half to see. Is usually folllowed by a male or two. Super shot and I love the colors!